Nils-Erik Sparf is descended from a long line of fiddlers from the Swedish region of Dalecarlia and began playing folk music at a very early age. He received his professional training at the Royal College of Music in Stockholm, from which he graduated in 1971 with a soloist diploma, continuing his studies at the Prague Academy of Music. Since 1973 he has been active as leader of the foremost Swedish orchestras, in chamber music and as a soloist, performing both in Sweden and internationally. Sparf is also the leader of the Drottningholm Baroque Ensemble and his 1984 recording, on baroque violin, of Vivaldi’s Four Seasons with the ensemble is still regularly cited as a benchmark performance. Among his other recordings for BIS are violin concertos by Johan Helmich Roman, violin and viola sonatas by Brahms, and chamber music by Eduard Tubin and Zoltán Kodály. 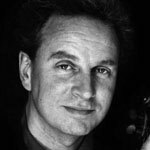 Nils-Erik Sparf has been a member of the Swedish Royal Academy of Music since 1992 and in 2004 received ‘Litteris et Artibus’ – a royal medal in recognition of eminent skills in the artistic field.